We're located on Sixth Ave. between 18th and 19th. • Take the 4,5 or 6 (green) to Union Square and walk west to 6th Avenue. Then head north to the store. • Take the F or M (orange) to 14th Street. Then head north on 6th Avenue to the store. • Take the 1 (red) to 18th Street and walk east to 6th Avenue. 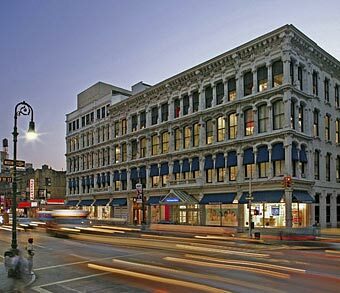 • Take the 2 or the 3 (red) to 14th Street and walk up to 18th Street and walk east to 6th Avenue. Order online, have it all delivered. Same day delivery in Manhattan for just $29! Shop and scan in-store, have it all delivered. Same day delivery in Manhattan for just $29! Ask an employee to get started!